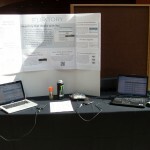 Flextory Takes First Place & $10,000 in Qualcomm Wireless Innovations Competition | Flextory :: Blog - Blogging about data management is fun! Posted April 21, 2012 by cbeley & filed under Flextory Random News. 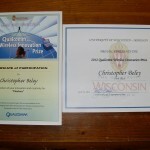 Last Wednesday Flextory took first place in the Qualcomm Wireless Innovations competition. This is huge news and Flextory now has a bit of extra money to help with expansion. Flextory is also now also starting to appear in the Media and you can check out Flextory’s collection of media links below. If you happen to know somewhere else that’s writing about Flextory that I missed, be sure to send me an e-mail at chris@flextory.com.